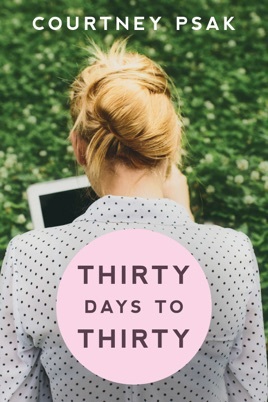 This is the story of Jill Stevens, who after being forced to move back home, finds a list she made in high school of thirty things she wanted to accomplish by the time she turned thirty. With a month left and hardly anything crossed off, she decides to team up with her best friend and her old high school sweet heart to accomplish as much as she can before her birthday. Along the way she discovers that it’s not about the achievements in life but what you learn about yourself getting there. Really enjoyed this easy read on my daily commute. Fun storyline that had me laughing out loud. Looking forward to Courtney's next book! Wow! What a great read.. Something I really enjoyed .. Couldn't put it down. It keeps you going, wondering what's next.